As most on this blog already know, I wrote a short story for the Unfettered anthology for Shawn Speakman, called "The Jester." Shawn is putting together another anthology called Neverland's Shadow and I'm penning another story for that it. What really drew me to this anthology is that the whole body of work focuses on the antagonist. Rarely do we get a glimpse inside the heads of these nefarious types, but this anthology will use this as its binding theme. Other people associated with the project include Terry Brooks, who will be writing the introduction. Todd Lockwood will be developing the cover and editing will be handled by Shawn Speakman and Roger Bellini. 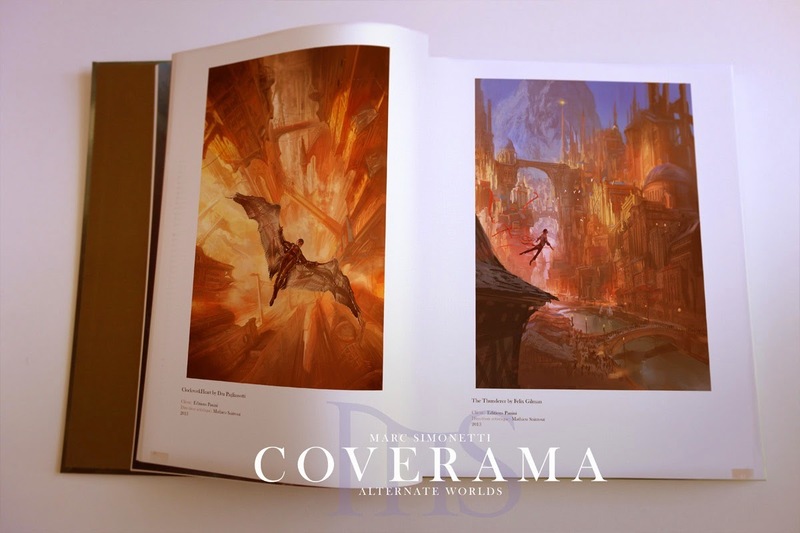 One of the things that Grim Oak Press does so well is creates really beautiful leather bound collector volumes including signed editions. Last time around the signed/numbered copies sold out almost instantly, and I suspect this volume will be popular as well. So if you want to get your hands on one of these, circle September 3, 2014 on your calendar as that's when Grim Oak Press will start taking pre-orders. And if you want to learn more about the anthology as a whole, hop on over to Grim Oak Press. 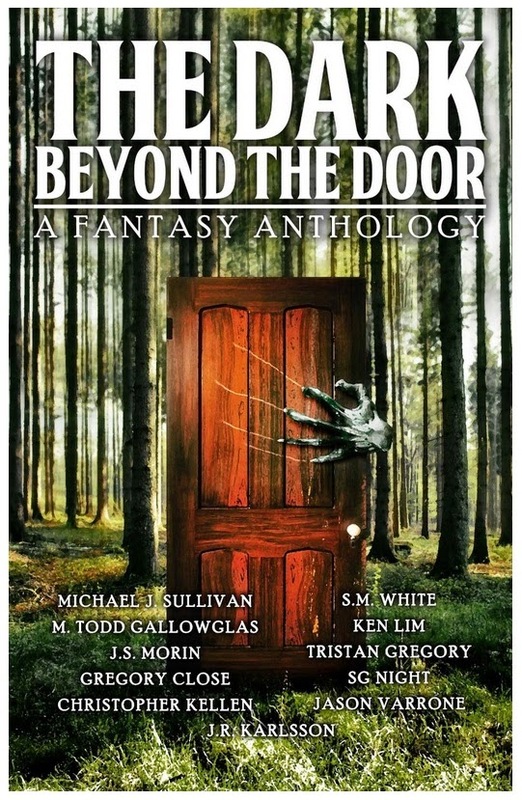 I'd like to introduce a new anthology of short fiction: The Dark Beyond the Door. 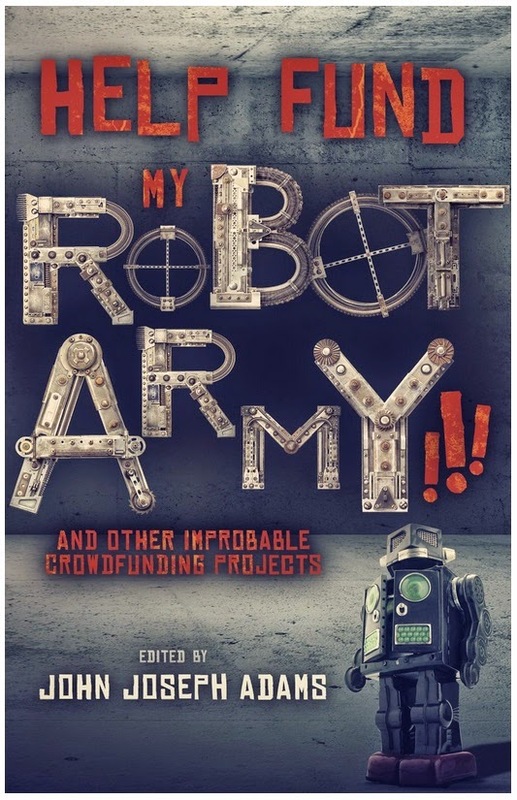 This book was the inspiration of J.R. Karlsson (editor and story contributor) who wanted to shine a spotlight on some great self-published authors he had recently discovered. J.R. originally approached me to write a foreword to the book, speaking a bit about self-publishing and how many authors are (a) finding success and (b) choosing self-publishing as a viable way of reaching audiences instead of what it was in the past (the last resort for people who couldn't be published themselves. I was pleased to help. 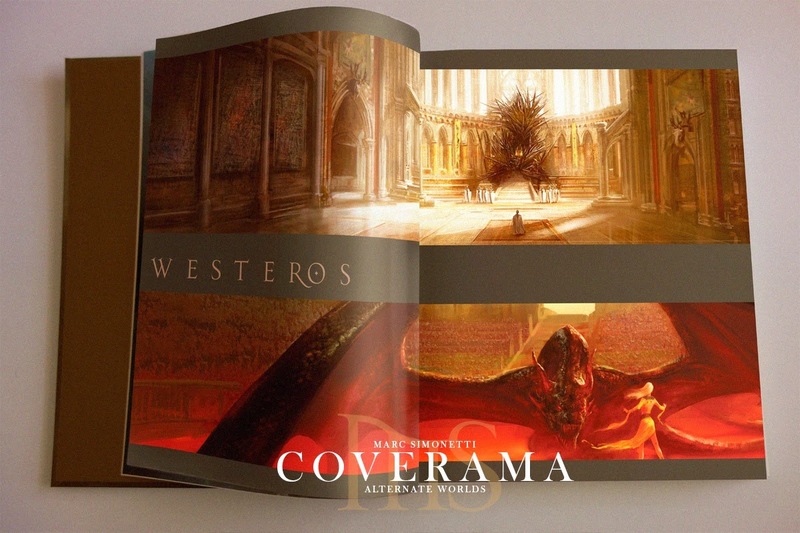 Anything that can showcase the talent that is coming out of the self-publishing world is something I strongly support. J.R. also invited me to contribute a story, the only requirement was "a door" had to be featured prominently in the story. 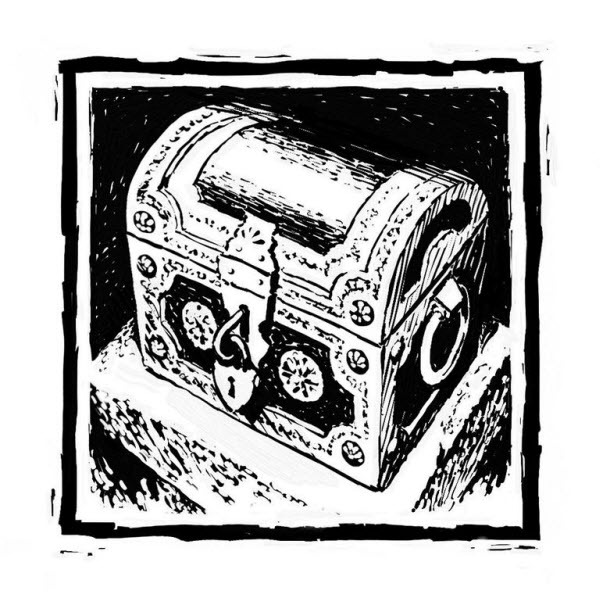 I didn't have time to write a new short, but luckily I had something that fit the bill nicely, The Jester, which was originally written for the Unfettered Anthology had recently reverted to me and it's a little Royce and Hadrian adventure where the duo are hired by a rich candle maker following a map to a renowned treasure. During the course of the story the party is locked in a room with a terrible creature trying to break down a flimsy door. The group has a choice to make between the only three things in the room: another (more sturdy door), a lever, and a chest. Each one represents something, and you'll have to read the story to find out what, but I was happy to add The Jester to the anthology. 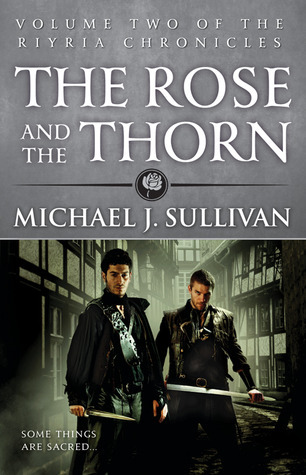 Michael J. Sullivan, the best-selling author of the The Riyria Revelations and /r/fantasy regular. He's no stranger to AMAs, having participated in many and earning the respect and admiration of many users through his continual feedback and participation within the community. M. Todd Gallowglas, the founder of The Genre Underground and author of the Tears of Rage and Halloween Jack series. Another regular to /r/fantasy , you can often see him contributing his wisdom on a variety of topics. J.S. Morin, our fourth reddit regular and author of the Twinborn Trilogy and more recently the Mad Tinker Chronicles. You can find him wherever there is good discussion on this subreddit. Gregory S. Close, a reddit regular responsible for the huge tome In Siege of Daylight. He discovered /r/fantasy through the Worldcon in San Antonio and hasn't left since. Christopher Kellen, /r/fantasy 's answer to Karl Edward Wagner and author of the popular Elements of Sorcery and Arbiter Codex series of Sword and Sorcery books. S.M. White, the author of The Paarus Histories and The Witch's Price. People seeking dark fantasy need look no further. Ken Lim, reddit regular and author of The Starfall Knight, Exigent and The Steelbound Sun. Tristan Gregory, reddit regular and the author of The Wandering Tale and the excellent Twixt Heaven and Hell. S.G. Night, an American writer hailing from the D.C. Metro area. In 2013 he self-published 'Attrition: the First Act of Penance' at the age of 18. Jason Varrone, the author of The Legacy Series, a stirring fantasy saga whose prequel is currently free on Amazon. J.R. Karslon, didn't add himself in the run down, so I will. He is the author of Escana, the eponymous first volume in an ever-evolving epic fantasy series. He also writes a sword and sorcery compendium known as El-Vador's Travels set in the same universe and a science fiction comedy series called The Extraordinary Adventures of Phil Jones. He's also the founder of Fiction Garden, a website he plans to use to introduce more stores from "indie" authors. I should also mention the striking cover was created by S.A. Hunt who J.R. describes as "a terrific writer in his own right with his Outlaw King series." 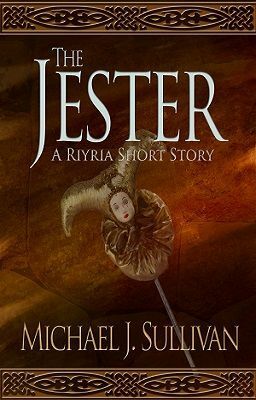 The Jester by Michael J. Sullivan is a classic piece of short fiction set in the best-selling Riyria Revelations world, featuring the inimitable duo of Hadrian and Royce mid-quest, as they attempt to make a choice that will either save them or damn them. Jaludin's Road by M. Todd Gallowglas is evocative Sword & Sorcery set in his Tears of Rage world. After returning home from five years of growing up in the deserts, Jaludin discovers that his home town is under a nefarious curse. He must discover why before the entire town dies of thirst. Three Demon Gambit by J.S. Morin is a warning to all not to mess in the affairs of demons. As one wizard pits himself against creatures that thirst for his very soul. Ehly by Gregory S. Close tells the story of a young girl fighting for survival after her father's brutal murder. 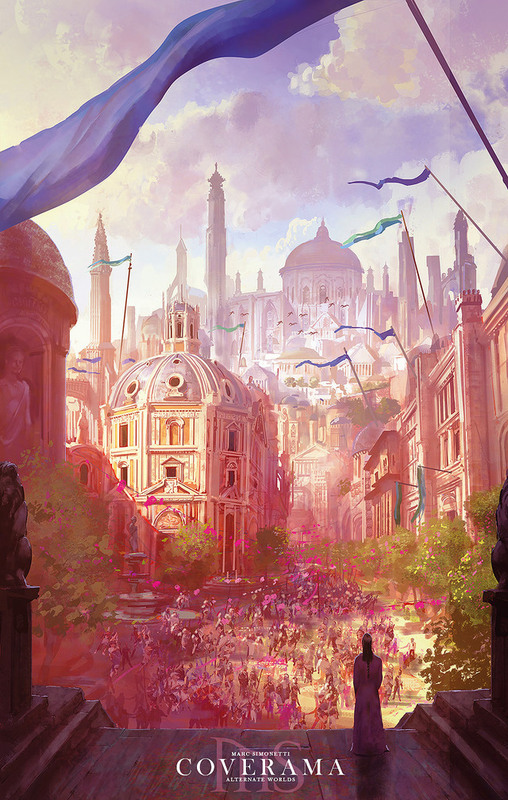 The Oath by Christopher Kellen is a prequel to his Arbiter Codex, featuring a younger D'arden Tal prior to his transformation into an Arbiter. The One Who Runs by S.M. White tells the tale of The Blood Prince, Adon, and the witch he had become bound to, as he searches for his love, Calla. Chaff by Ken Lim is set in the same universe as The Starfall Knight, as a hunter known as Hania encounters a child called Viveka from another aerock and does her utmost to protect her. The Swordsman of Carn Nebeth by Tristan Gregory is the first of his Wandering Tale fantasy short story series, featuring the consequences of a returning soldier, Coary, told through the eyes of the young village boy William. Bloodtaker by S.G. Night is the first Inspector Vego mystery. A chilling tale of a necromancer willing to do anything with blood in order to get that which he desires most and the inspector who must hunt him down before he strikes again. Knight's Oath by Jason Varrone is a story of loyalty, passion and tough choices in the midst of a potential battlefield. It questions the morality of a commander's choices, and his ties to the King he is sworn to obey. One Shot by J.R. Karlsson is an urban fantasy based in Coleraine, Northern Ireland. When Sarah's house is set on fire with her trapped inside, and a sniper prevents her immediate escape, she turns to her only friend, Martin. Together they must unravel the mystery of how she survived the blaze, why someone is targeting her and how they can stay alive long enough to find out. Even if you've already read The Jester I hope you'll give The Dark Beyond the Door a try, after all anthologies are a great way to find new authors to love. And if you haven't read the story, here is a chance to get it along with a few others. Many years ago I wrote a blog post about sign posts--indicators that you might be getting somewhere with this whole "writing gig." After writing 25 books (and releasing 9) I still think of myself as the new kid trying to find a place to put my tray in the lunchroom filled with real authors. How I even got into the school is a mystery, but has a lot to do with me finding an unlocked back door. I see the various cool kid tables and wouldn't dare put my tray down at one of those. Maybe someday...if I keep at it, but not yet. So it was funny when Robin mentioned today that I'm one of the most followed people on goodreads (#48 over the last year). And of course many more. I'm not sure I deserve to be listed among people, but I certainly am glad for all the readers of my books who have followed me. I'm assuming they are following me because of my books, it certainly isn't because of my book reviews, which are few and far between. So thank you fellow goodreaders. You made my day. Take offs and landings are always the scariest parts of any flight—stories are no different. Getting off the ground in time to clear the trees and not spill the luggage from the overhead bins isn’t as easy as skilled pilots make it seem. Writers, invented world fantasy writers especially, often feel like the concerned friend walking into the living room of a horder. Where do you even begin? When you set a story in a new universe, there is so much you need to get across to the reader before they can begin to grasp the story you want to tell. The result is often an explosion of information, what I call the wall of noise, and others refer to, more affectionately as, the learning curve. Many authors have famously built giant walls with indifference to the reader. This sink or swim mentality is often lauded—among those who swim. The deeper the water, the stronger the deadly current, and the farther the opposite shore, the more the successful swimmers brag of the author’s excellence, mostly due to their own sense of pride in having survived the struggle. This hazing initiation has its merits, but I feel it has even more detriments. The most obvious is lack of audience, and quite often lack of career. So how can you avoid the wall of noise in a story where many words don’t even have definitions yet? And how can you build characterization and setting without huge piles of exposition? And how can you grab a reader’s interest, and hold it? One way to approach the opening of a novel is to treat it as a short story with a loose end, and that loose end can work as a splinter in the skin of the reader. But such a splinter can’t be inflicted on a reader without some context. A scream, or someone yelling “help!” isn’t too likely to elicit a response because anyone hearing them won’t know the circumstance. Maybe the shouting person is just kidding, or playing a game. This is why a fantastically exciting start to a story isn’t good enough. Without context, it can be bewildering. If, however, you can see the person screaming is a child standing next to an adult who is bleeding on the street, a response is more likely to result. To truly set the splinter deep, you first need to establish what’s going on, and who is involved. The trick to this is that the situation needn’t be complex. It can, and often should be, simple. A character can be in a panic having lost their keys or glasses. They can run out of hot water in the shower. They can step in a puddle on the way to a crime scene, or they can be determining which wire to cut on a bomb with ten seconds left to decide. The point is that the issue at hand needs to be easily comprehended by the reader, because the problem, or tension, in the scene isn’t the point. The real purpose of the scene is to establish the character and setting. The crisis is merely the vehicle. Allowing the reader to quickly, and easily, grasp the situation—the goal and the obstacles to success—grants them the ability to focus on the Who and Where. And how the players in the drama act is the means by which a writer can establish characters, and show rather than tell. In the opening scene of House of Cards, the main character is faced with a mortally injured dog. This has nothing at all to do with the plot of the series, or even the episode, but everything to do with establishing the character’s personality and the tone of the show. Often the opening of a story isn’t about The Big Event, but a scaled down version, the first symptom, or instance, of the coming storm—as in Stephen King’s The Stand. Sometimes this first instance can be a failure that provides the learning experience that comes in handy in the big moment. This is best handled as an insignificant event that the reader will dismiss, such as losing one’s glasses or keys. You never want to confuse a reader. That is the surest way to get a closed book. Boredom is another and often holds hands with confusion, as being confused is often boring. Just present the situation, and after that you can have fun. This brings me to the raccoon. This is easy to read and simple to understand and yet it asks so many questions that readers will need to read on to find the answers to. Why is a raccoon falling from a bridge? Why does Bob have to catch it? Who is Bob? What bridge? What is this all about? Okay, a catchy opening isn’t that hard. Just throw out some absurd sentence (or raccoon) and you’ll catch attention. So, of course, that’s not enough. You need to back it up. A bait and switch will make a reader dislike you very quickly. Writing: “The President killed…!” only to follow it up with, “with his State of the Union speech,” won’t win you an audience. The opening has to be a shining example of your style and tone going forward. (This is often why many writers just write a book and then cut off the first chapter or two, starting where the story gets going, where they’ve hit their stride.) Creating a short story, or limited scenario, at the start helps this, and also helps limit the scope. You don’t need to explain everything; you just need to explain this one little thing. String the reader along. 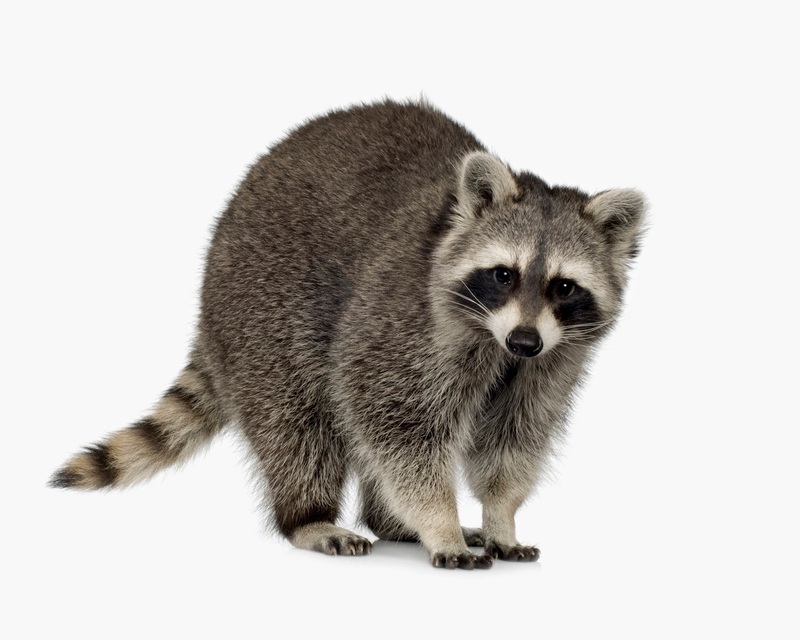 After all, you have a perfectly good reason—the raccoon. You’ll explain later, but right now you have this issue of a plummeting animal to deal with, so let’s focus on that right now, okay? And by the time the crisis is over, this bystander (the reader) is impressed by the ingenuity, the courage, the quirky cynicism, the hilarious optimism, or the incredible skill or superpower of the main character, and the focus stops being on why did this raccoon fall and more on who is this interesting person I just met who catches raccoons? So the first scene should be immediate, active, simple, engaging, and not necessarily connected to the main storyline except in a symbolic or hidden manner, but allow for character and scene development on a limited scale. Once this little intro-short story is over, the reader should be adequately ensnared in your web of words and hopelessly unable to escape your bonds of intriguing questions. At that point you can begin filling them in, a bit at a time leading them ever deeper into your world, a place from which they will never leave, or want to. I've recorded a couple of podcasts with the peole over at Hide and Create, and as I've not embarrassed myself (too much) they are going to have me as a regular contributor. Hide and Create is kinda like eavesdropping on a conference panel without having to travel or pay the fees. It has panelists offering some diversity so that multiple perspectives are covered. For interest hosts represent New York Time Best seller, tie-in writers, editors, small press published and self-published. Here is a bit about the current roster. 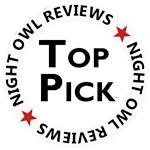 Jordan Ellinger has been called a “standout” in a starred review in Publishers Weekly. He is a member of the Science Fiction and Fantasy Writers Association (SFWA), is a first place winner of Writers of the Future, a graduate of the prestigious Clarion West writers workshop, an award-winning screenplay writer, and author of more than twenty works of fiction, including popular series and media tie-ins (i.e., “Warhammer” and “Star Citizen”). He has collaborated with internationally best-selling authors like Mike Resnick and Steven Savile (with whom he co-authored “Martyrs,” a military thriller). He is a professional editor, having worked as Executive Editor at Every Day Publishing and on the Animism Transmedia Campaign. His film, “Tender Threads,” won the jury prize at Bloodshots Canada and was screened by master of horror, George A. Romero. He is experienced both in programming and writing games (including RPG’s) with focus on Artificial Intelligence systems, and has shipped games for publishers such as THQ and EA. Joshua Essoe is a full-time, freelance editor. He’s been editing and writing for twenty years in one form or another, but has focused on speculative fiction since 2009. He’s done work for David Farland, Dean Lorey, Moses Siregar and numerous Writers of the Future authors and winners, as well as many top-notch independents. Joshua describes his editing style and approach in a guest article written for Fictorians.com. Debbie Viguié is the New York Times Bestselling author of over a dozen novels including the Wicked series and the new Crusade series co-authored with Nancy Holder. Much of Debbie’s writing has a dark edge to it, including her retold fairy tales, her latest being Violet Eyes, a retelling of The Princess and the Pea. In addition to her epic dark fantasy work Debbie also writes thrillers including The Psalm 23 Mysteries and the upcoming Kiss trilogy. When Debbie isn’t busy writing she enjoys spending time with her husband, Scott, visiting theme parks. They live in Florida with their cat, Schrödinger. Seven New York Times bestselling authors: Kimberla Lawson Robey, Jacquelyn Mitchard, Dani Shapiro, Cheryl St. John, Dan Hampton, Barry Lyga and Harlan Coben! The Pitch Slam, the Conference's signature event, with more than 50 agents and editors slated to be on hand scouting new talent. Writer's Digest Pro (Friday) which is an all day event with one track designed for advanced writers with a more intimate knowledge of how the publishing and self-publishing industries work – sessions like advanced social media and promotion techniques, author branding, hybrid authorship, contract negotiations, and much more. Writer's Digest Pro can be added onto any registration type for an additional $99. Main Conference (Sat - Sunday) generally has four simultaneous tracks on a wide range of subjects. You can delve deeper into your craft and hone your skills or learn more about the complexities of contemporary publishing. I'll be speaking more next week about some of the other presenters and sessions that are going on, but if you think you want to come see me then I can get you $50 off your admission. Just use the code WDSPEAKER when you register. Hope to see you there. 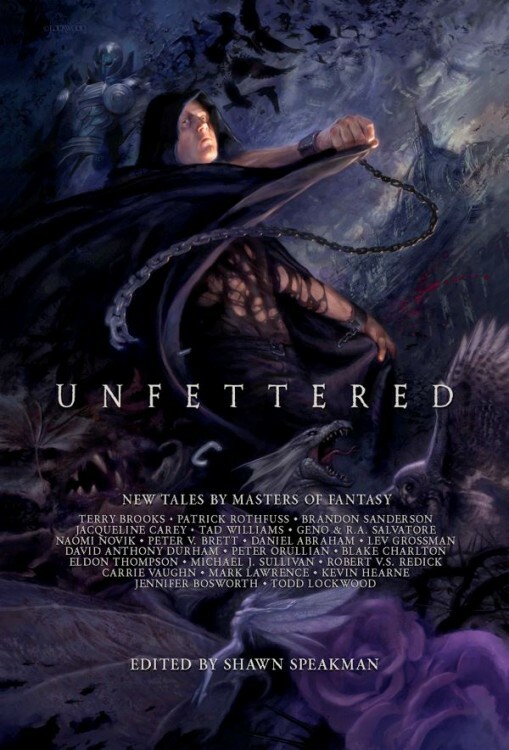 One of the anthologies I'm most proud of participating in is Unfettered. For those who don't know, it's a work where none of the authors made a dime even though it has sold incredibly well. It wasn't meant to make us any money...its sole purpose was to help pay off the medical bills of Shawn Speakman who amassed hundreds of thousands during his fight (and win) against cancer. 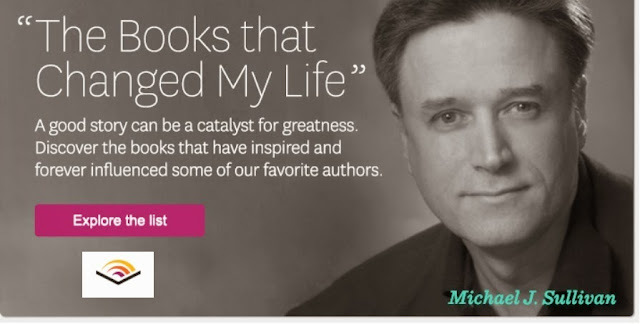 We met our goal, Shawn is medical debt free, has put aside a nice nest egg for future insurance, and now is using the excess to help other authors who have medical bills that are overwhelming them. Stop me if you’ve heard this one. A thief, a candlemaker, an ex-mercenary, and a pig farmer walk into a trap…and what happens is no joke. When Riyria is hired to retrieve a jester’s treasure, Royce and Hadrian must match wits with a dwarf who proves to be anything but a fool. Difficult choices will need to be made, and in the end those who laugh last do so because they are the only ones to survive. I was honored to receive an email from Jenn at Book Reviews and Giveaways that not only was I her "favorite author" but that she wanted to feature me for a blog hop for International Authors' Day. Part of the hop involves free giveaways of the work the bloggers love the most, and I was more than happy to participate. My favorite genre is Fantasy. My first taste was playing games based on Dungeons & Dragons and I fell in love. I’ve read quite a lot in this genre, with several series or authors I really like. 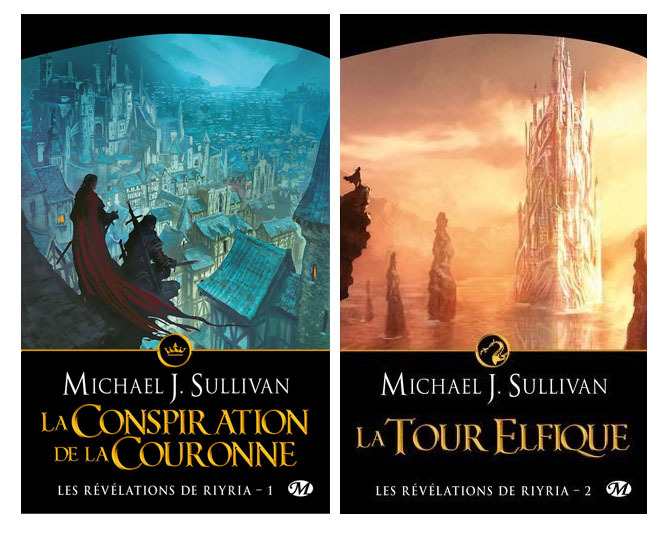 My favorite author has to be Michael J. Sullivan. His writing always feels like you are right there with the characters. You can feel what they are going through and you connect with them on so many levels. You find yourself caring what happens and experiencing emotions as though they were your closest friends. The descriptions are perfect. Never too much, never too little. You can visualize what he describes like it is being painted right before your eyes. I love how he can take so many plot threads along with the main plot and weave them expertly through more than just one book. You can’t help but stay up late just to read another chapter. Jenn is running a "raffle copter" to giveaway one of my stories, but I was so thrilled to be part of this that I'm offering three of my short stories, not just to a single winner - but for anyone who signs up. Here is what I'm providing from this link. NOTE: This short story was originally published in the Unfettered Anthology edited by Shawn Speakman. THEY ATTACKED TWO RIDERS. THEY THOUGHT IT WOULD BE EASY. THEY WERE WRONG. A band of thieves set upon two lonely riders in the middle of the night. They had a larger party. They had the element of surprise. There was no reason to be concerned, but they didn’t realize who they were dealing with. 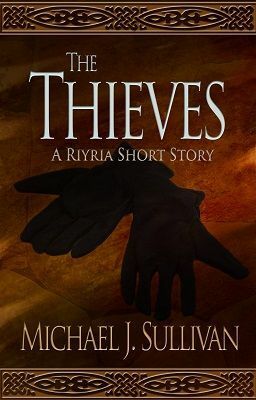 NOTE: This was originally published as the first chapter of Theft of Swords (Book #1 and Book #2 of The Riyria Revelations), so for those who have that book...you already have this story. 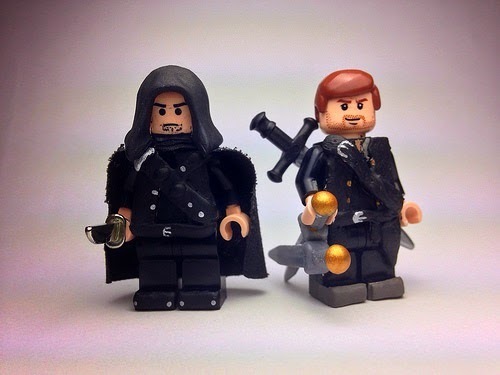 WILL ROYCE TEACH HADRIAN OR BE SCHOOLED HIMSELF? Eleven years before they were framed for the murder of a king, Royce Melborn and Hadrian Blackwater were practically strangers. Unlikely associates, this cynical thief decides to teach his idealist swordsman partner that no good deed goes unpunished. But who is really the student and who is the master? 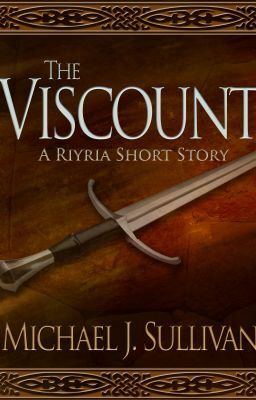 NOTE: This short story was the seed that became The Riyria Chronicles, it eventually found it's way in Chapter 2 of The Rose and the Thorn. I know that people on my site have probably already read these shorts, in one format or another...but I thought I should mention it in case you have friends/family that you want to introduce to Royce and Hadrian for free. Thanks Jenn, and all the bloggers participating on the blog hop. It's so nice to have a day (or three) devoted to authors and I'm honored to be included. 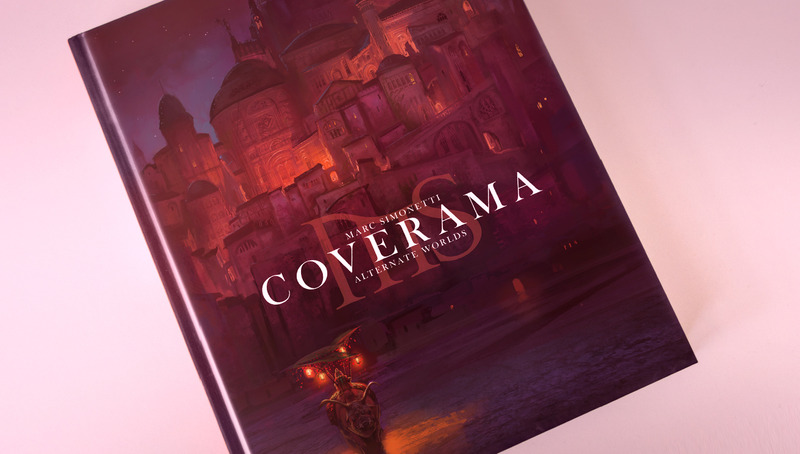 Marc Simonetti's Coverama Crowd funding project hit it's next stretch goal ($30,000) so there will be five additional signed prints sent with all the books. I'm not sure if this is going to be one of them or not, but I do hope so. At the very least, it will be included in the book. There are still three days left to get in on this exceptional coffee table book. You can get your copy here. One of the cool thing about this picture, is that Marc painted it while recording through Livestream, and he has included his commentary as he worked on it, which will be a great help to other artists. It's amazing to see him go from nothing to a finished picture and you can watch along as he does. I'm pleased to announce that the fine people at wattpad are featuring one of my stories. Both Dan Sturges and Ellis Rogers build a time machine and go to the future because they are dying. In both "futures" the people are genetically identical and live underground due to advance technology, leaving the "surface" in a pristine, natural state. But that's really where the similarities end. Dan was written to be unlikable, and for a full-length novel I needed someone more sympathetic. Also he is pretty much a card-board stereotype. In this short story it's not about growth of a character (which is pretty hard in a short story as they exist for just a few reading minute), it was more about showing that an inability to adjust to one's environment could lead to disastrous results. It also demonstrates the old, be careful what you wish for theme. Also, the people in Hollow World would never do to Dan what Dan's future versions do. I don't want to say too much, as it might spoil the story. But let's just say the people he run into have almost 180 degree different view on how people should be treated. If you want to checkout my stories, click here. The other night we watched the Lego Movie, and I must say that I was entertained. The only problem is that damn song is easy to get into my head and then it won't leave for awhile. But yesterday I was doing a search on Riyria Fan Art (I was trying to find some interpretations of Royce and Hadrian for an Artist (more on that later). But wile searching around I came across this...and it was...well awesome!